In this new video from Donalyn Miller, "The Book Whisperer,” she offers her summer reading suggestions. Learn about the power and importance of summer reading and take a look at some of the books featured on this season's book fairs. Donalyn Miller is an award-winning Texas teacher and the author of The Book Whisperer (Jossey-Bass, 2009) and Reading in the Wild (Jossey-Bass, 2013). Her articles about teaching and reading have appeared in publications such as Education Week Teacher, The Reading Teacher, Educational Leadership, and The Washington Post. 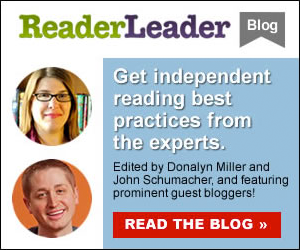 Donalyn serves as Scholastic Book Fairs’ Manager of Independent Reading and Outreach.